PRO-FX Supreme Gel Top Coat provides dramatically fuller, voluminous, plumped nails with an ultra-glossy three-dimensional finish. 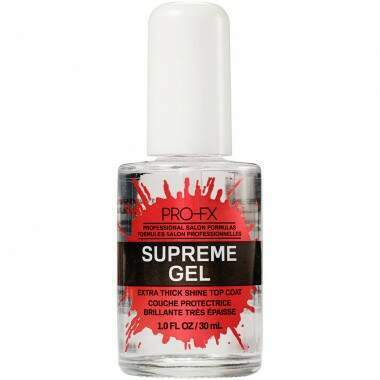 It locks in color and offers a high-shine, salon-quality, and a real-gel plumping effect without the UV lamp. Color can last for up to 14 days!